Cast: Marisa Ramirez, Travis Wester, Nichole Hiltz, Laz Alonso, Laura Harring, David Keith, and others. Plot: A couple of young college kids unintentionally interfere with a small town’s ritual sacrifice, they get into more than they bargained for and must find a way to survive this Dia de los Muertos from a murderous greedy villain, Vargas Diaz, who looted an Aztec tomb belonging to the goddess of death located in the town of Santa Bonita, Mexico. Cast: Julian Morris, Lindy Booth, Jared Padalecki, Jon Bon Jovi, Sandra McCoy, Kristy Wu, and others. Plot: Nobody believes a liar - even when they're telling the truth. 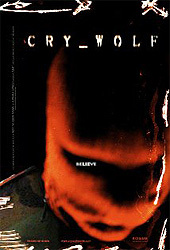 When a young woman is found murdered, a group of local high school students decide to further scare their classmates by spreading online rumors that a serial killer called "The Wolf" is on the loose. By describing "The Wolf's" next victims, the students' game is to see how many people they can convince - and if anyone will uncover the lie. But when the described victims actually do start turning up dead, suddenly no one knows where the lies end and the truth begins. As someone or something begins hunting the students themselves, the game turns terrifyingly real. 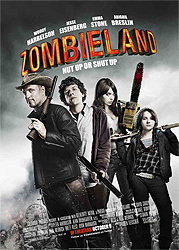 Plot: The horror comedy Zombieland focuses on two men who have found a way to survive a world overrun by zombies. Columbus (Jesse Eisenberg) has made a habit of running from zombies who are what scares him, and Tallahassee (Woody Harrelson) doesn’t have fears. If he did, he’d kick his way through zombies. As they join forces with Wichita and Little Rock (two sisters), who have also found unique ways to survive the zombie mayhem, they will have to determine which is worse: relying on each other or succumbing to the zombies. Cast: Keanu Reeves, Rachel Weisz, Shia LaBeouf, Djimon Hounsou, Max Baker, Pruitt Taylor Vince,and others. Plot: The story of irreverent supernatural detective John Constantine (Keanu Reeves), who has literally been to Hell and back. 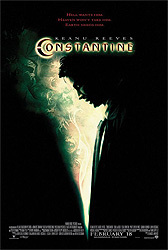 When Constantine teams up with skeptical policewoman Angela Dodson (Rachel Weisz) to solve the mysterious suicide of her twin sister, their investigation takes them through the world of demons and angels that exists just beneath the landscape of contemporary Los Angeles. Caught in a catastrophic series of otherworldly events, the two become inextricably involved and seek to find their own peace at whatever cost.